Hours: Monday 10:00 A.M. – 5:00 P.M.
Tuesday – Friday 10:00 A.M. – 7:00 P.M.
Saturday 12:00 Noon – 4:00 P.M. I heard about Foremost a couple of weeks ago, from a fellow guest at a baby shower. She had found one of her gifts there, a baby blanket. She explained that the store sells unclaimed/refused/damaged UPS freight. So when I had an errand to run on the Southside, I decided to check it out. 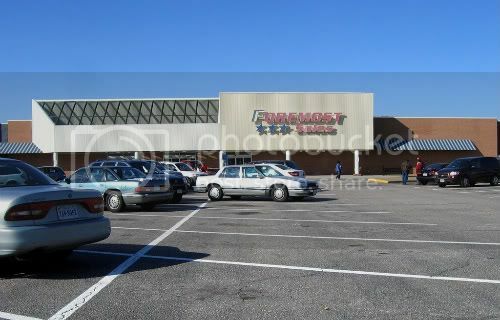 Foremost Sales is located in a very unassuming building, situated in an unassuming strip mall, across Midlothian Tpke from the old Cloverleaf Mall. Hop off Chippenham Parkway and you’re there. You don’t know you’re there unless you’re looking for it, though. There’s not much in the way of signage and description. In a word, Foremost is random, not entirely surprising considering its inventory source. The randomness begins when you walk in the door and check the small sign posted by the entrance to find out what the discount of the day is. I visited on a Friday. Honoring the invention of the toothpick, everything in the store was 45% off the tagged price. My understanding is that there’s always a discount, sometimes discounts upon discounts. Foremost obviously hasn’t wasted money on elaborate decor or fancy displays; “spartan” and “disheveled” are the first descriptors that popped into my head regarding its appearance. But that’s not a bad thing. I like knowing I’m not paying extra for the atmosphere. 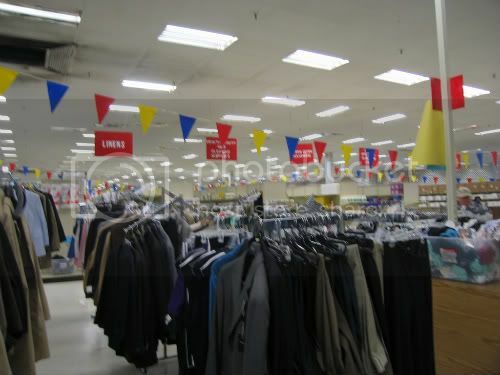 The store does get a lot of mileage out of bright pennant streamers strung throughout. And then there’s the inventory. It’s grouped under headings as well as possible. 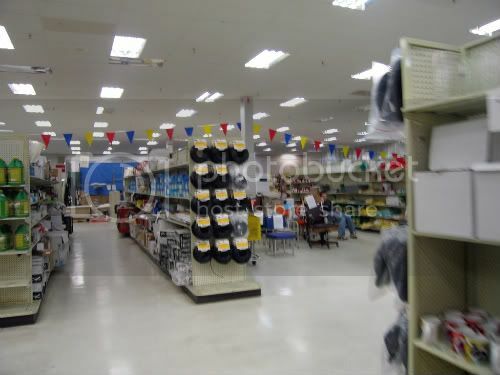 There’s some motley furniture in the middle and back; clothing in the far front corner; batteries, shoes and some art near the entrance; and aisles containing school supplies, auto accessories, personal care, etc. There is a large open space in the back left that appears to be where the monthly auctions are held. 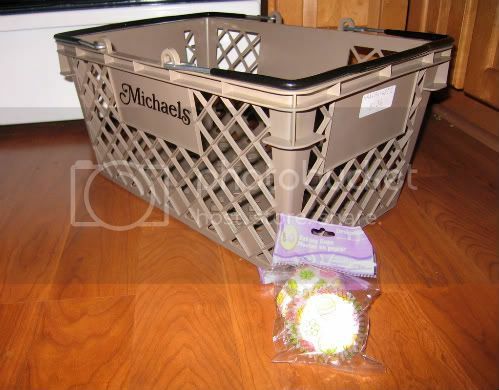 My purchases were 2 $.30 packages of paper muffin cups with Easter eggs on them, and a shopping handbasket labeled “Michaels” ($5.36). After discount and tax, my grand total was $3.44. 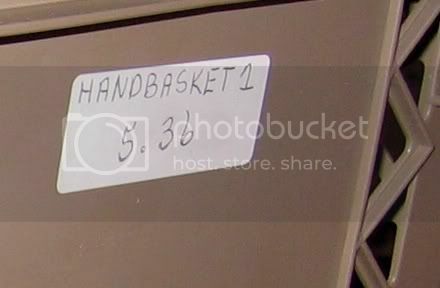 I don’t know if the handbasket was a good deal or not, but I couldn’t resist the randomness of buying a shopping basket in a store. It’s not a store that lends itself to shopping for anything in particular, but you could definitely score a deal if you hit the right combination of merchandise and daily discount. Do you have 86%/14% hand towels 16×27″hand towels? and what is price per dozen? Thank you . Do you have Children Bibles and English Standard Versions and cost.